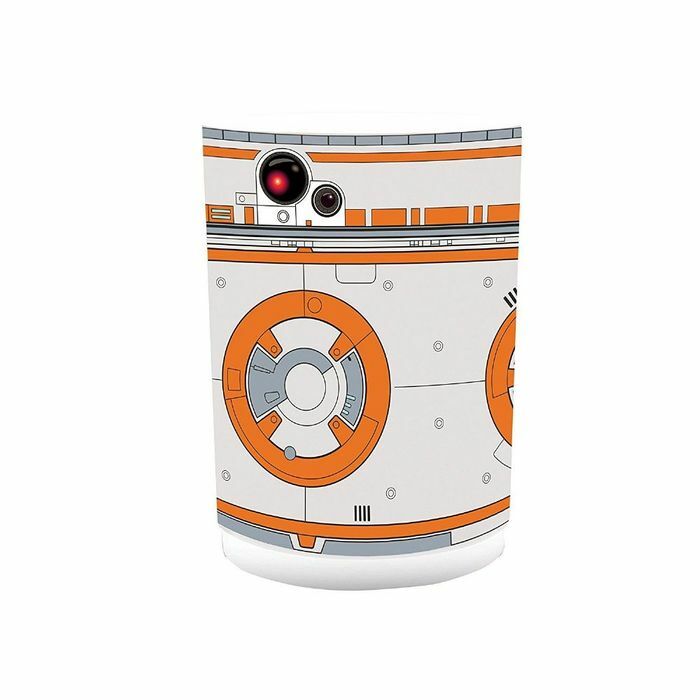 The BB-8 mini light is an 11.5cm (approx. 4.5in) cylindrical light based on the popular Star Wars character. This is perfect for desktops, shelves or bedside cabinets. Easy to operate with an on/off power button on the bottom - simply push once to test the night light. Light up your room with this amazing Star Wars light.